When all the loving people gather near. 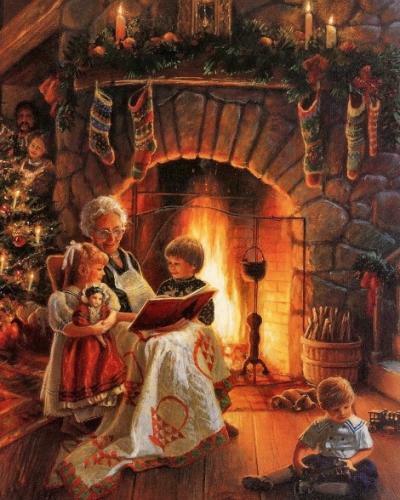 While they sit by the fire telling Christmas tales. Guiding old St. Nick through this eternal night. He gave us love, He gave as light. Of the beckoning future, what must it be? Must it be a life of sorrow? Must it be of shame? His love will still remain. He died to give us life throughout eternity. We have but one to give to Christ. You will be surprised in what you find. Except God Bless us ALL, this Christmas day.